OWNER IS MOTIVATED! PRICE REDUCED! 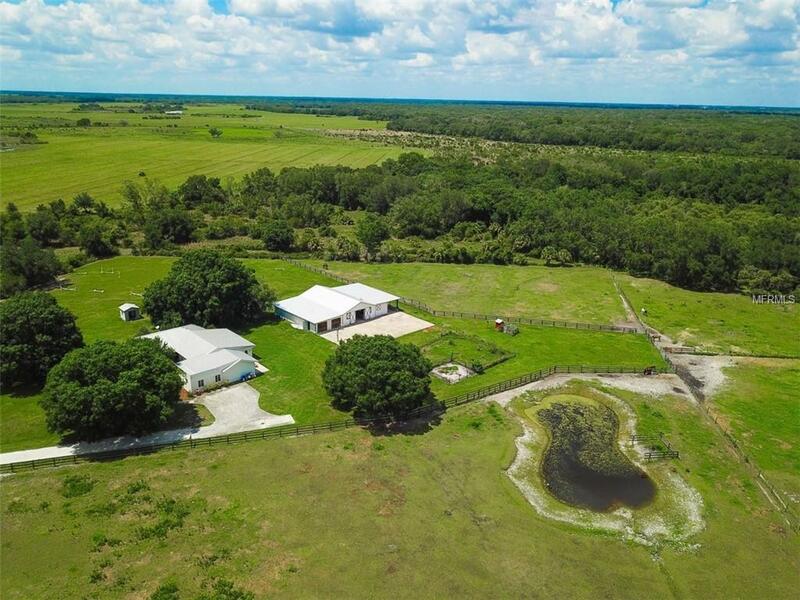 9.12 ACRE EQUESTRIAN ESTATE IN MYAKKA VALLEY RANCHES! This beautifully updated 4-bedroom, 3-bathroom, 2,913 sq. ft. home, has all the pastures your horses and animals need! This private property has an 8-stall barn, utility room, basketball court, and workshop/garage that can hold up to four cars! The property features mature oaks, four fenced pastures, and is located on the end of a quiet cul-de-sac. The interior of the home includes Brazilian hardwood floors throughout, as well as a beautifully updated kitchen with stainless steel appliances, solid wood cabinetry and granite countertops. There are two master suites included in this split plan home, both with updated bathrooms. The new owner will also enjoy the large laundry room with built-in storage just off the kitchen. Both the main home and the barn have metal roofs less than 10 years old. Bring your horses, chickens, pigs, ducks, and even llamas! Myakka Valley Ranches is one of the largest equestrian communities in Sarasota County. With over 35 miles of horse trails, an active trail club, book club, and garden club, Myakka Valley has a ton to offer. This community is located right next door to the largest state park in Florida, Myakka State Park, and only a 30-minute drive to Siesta Key and Downtown Sarasota! This location cant be beat! Schedule a showing today!